Over the past decades, a new commercial focus in the field of precision metalworking has developed in the economic region of Pforzheim/Nordschwarzwald. For this reason, the cluster initiative Hochform aims to establish a network linking the cluster companies in and around the economic area Pforzheim/Nordschwarzwald with each other. It also aims to strengthen the links between companies and research institutes. This creates added value through synergy effects. The interaction, mutual support and exchange of ideas between the cluster companies multiplies the innovative power for the joint development of new products, processes and services. The initiative offers the companies, largely medium-sized enterprises, a wide range of support. Its goal is to maintain and boost their competitiveness. All companies within the network have a worldwide reputation for high quality. 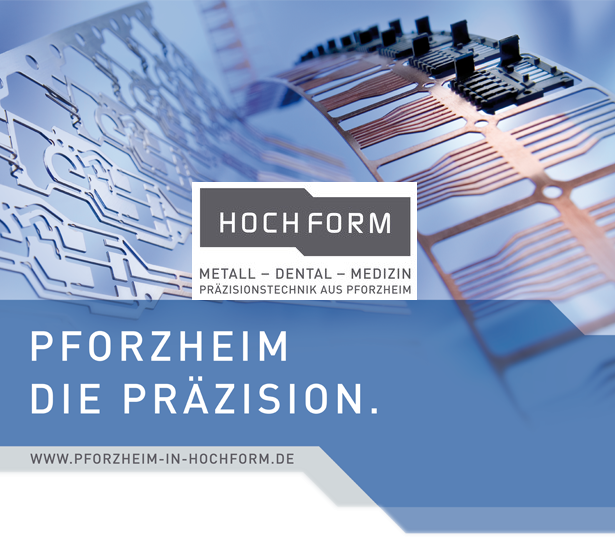 Another aim of the Hochform initiative is the further development and establishment of the economic region Pforzheim/Nordschwarzwald as an advantageous and attractive location for cutting-edge precision metalworking technology. The primary goal is to establish the necessary framework conditions for ensuring an adequate supply of qualified specialist personnel. The HOCHFORM cluster initiative is supported and promoted in its aims by the EU and the state of Baden-Württemberg with subsidies from the European Regional Development Fund (ERDF). 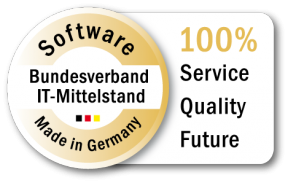 In 2010, the initiative won an award in the Baden-Württemberg Cluster Competition.